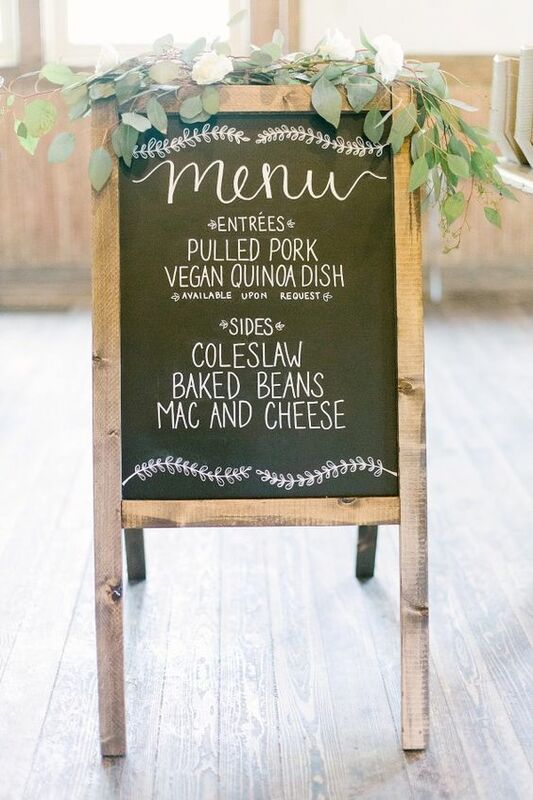 Everyone loves a wedding with emotional vows, gorgeous decor and a beautiful bride, but what they really come for is the food. 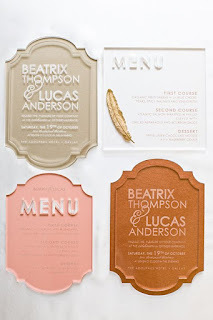 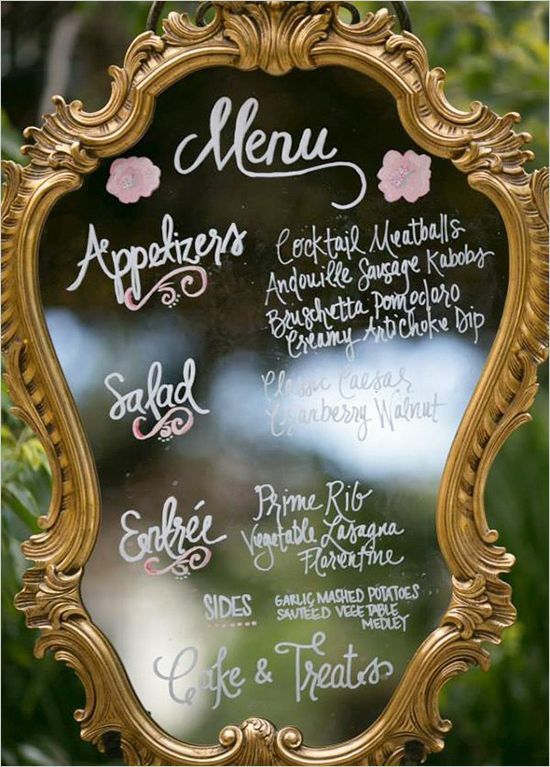 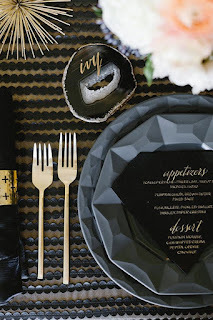 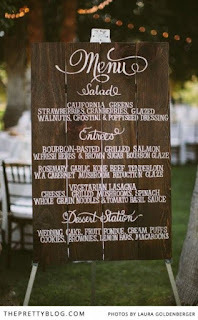 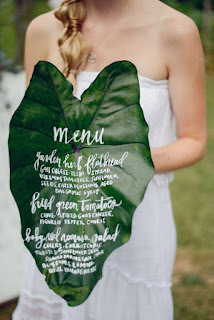 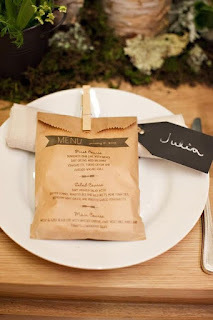 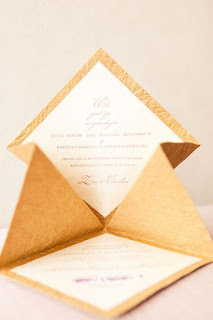 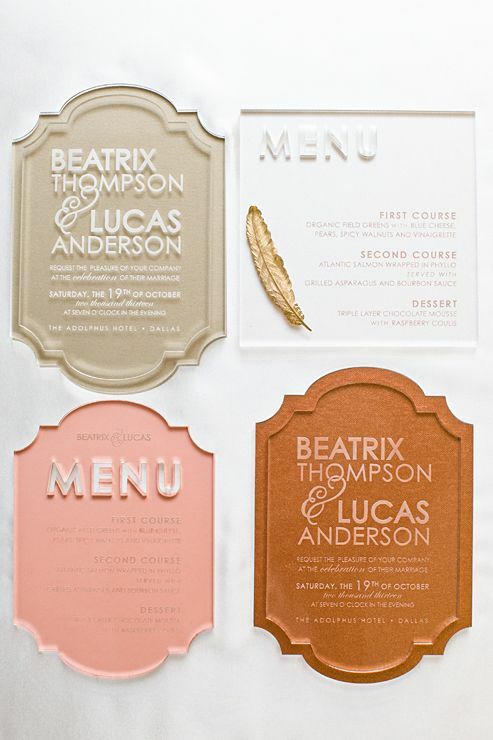 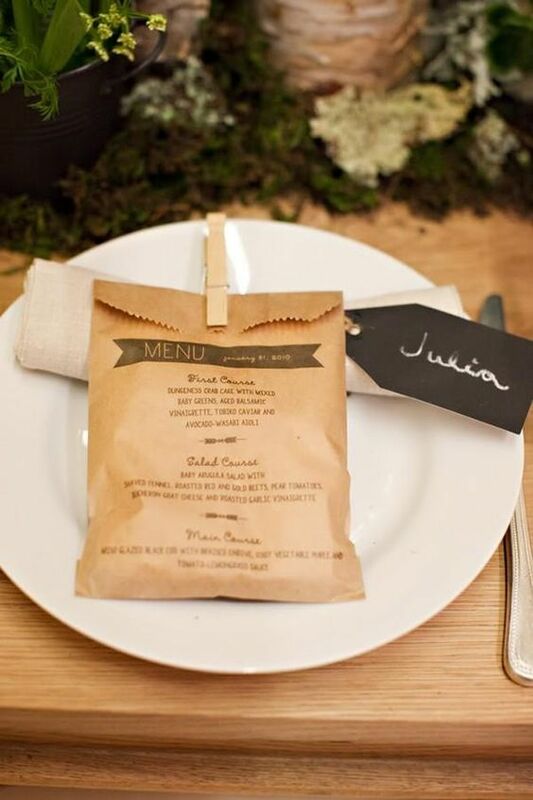 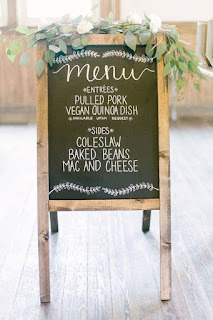 Whether you are hosting a sit down, family style or buffet dinner, the design of your menu should match your unique wedding style. 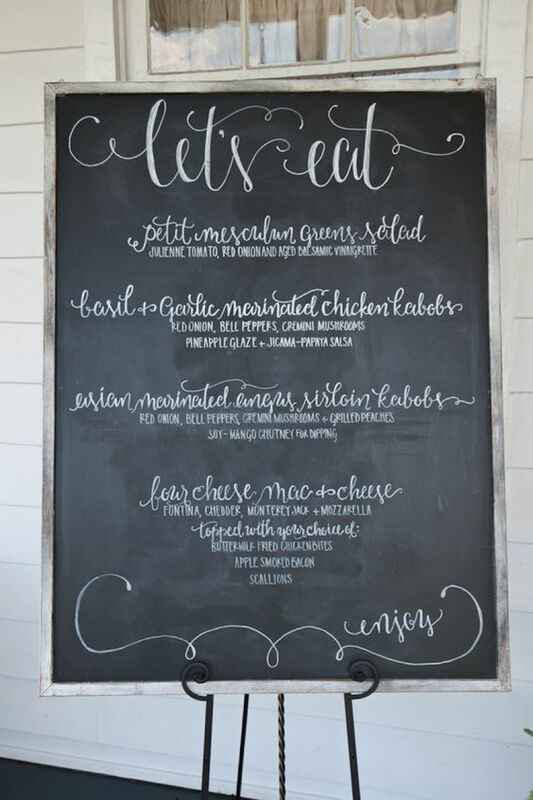 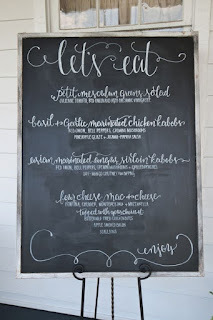 With so many options from individual cards or larger boards, here are some of our favorite options that will leave guests excited for the meal to come.